Aside from being beautiful commercial work — quite detailed for a photographic ad from 1952 — this is posted especially for my good online Kiwi friend impreialgoogie of The House of Googie on Tumblr. While they have mostly disappeared from American tables except in the form of sugar, New Zealanders continue to love their canned pickled beets — or "beetroot" as it is said there — as they even put a slice or two on their hamburgers. 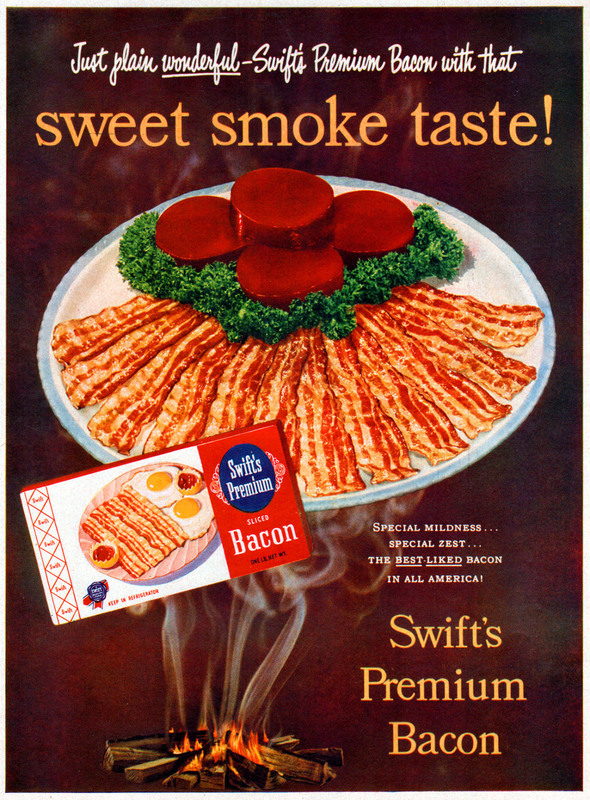 Posted in 1950s, Food, Retro/VintageTagged advertising, Americana, breakfast, nostalgia, porkBookmark the permalink.